Groups autoclaves - Prato Erboso S.r.l. Groups autoclaves There are 27 products. The mouth of the Suction: 1"
Suction height up to 9 metres. Motor 0.37 Kw (0.50 HP). Flow rate up to 32 l/min. Head up to 40 meters. Calibration 1.4 - 2.8 bar. Suction height up to 9 metres. Motor 0.37 Kw (0.50 HP). Flow rate up to 45 l/min. Head up to 35 meters. Adjustment 1.2 - 2.6 bar. Suction height up to 9 metres. 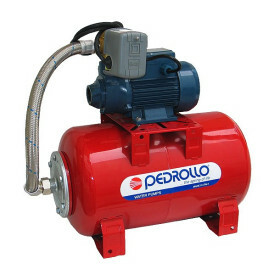 Motor 0.50 Kw (0.70 HP). Flow rate up to 50 l/min. Head up to 41 metres. Calibration 1.4 - 2.8 bar. Suction height up to 9 metres. Motor 0.60 Kw (0.85 HP). 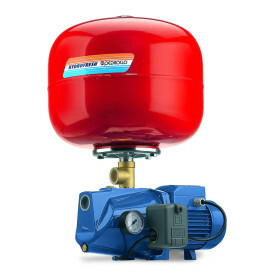 Flow rate up to 50 l/min. Prevalence of up to 47 metres. Calibration 1.8 - 3.2 bar.